Protesters from across Ireland will converge on Leinster House tomorrow morning to highlight concerns over the impact of the State’s conifer plantation forestry policy on rural Ireland. The Communities Not Conifers rally, organised by Save Leitrim, is set to see several busloads of protesters travel to the capital tomorrow to voice their concerns. According to the organisers, the rally has gained broad support from communities in the West of Ireland, as well as in counties Clare, Cork, Kerry and Wicklow. Forest land cover in Ireland is currently at 10.5 per cent, well below the European average of 33.5 per cent. 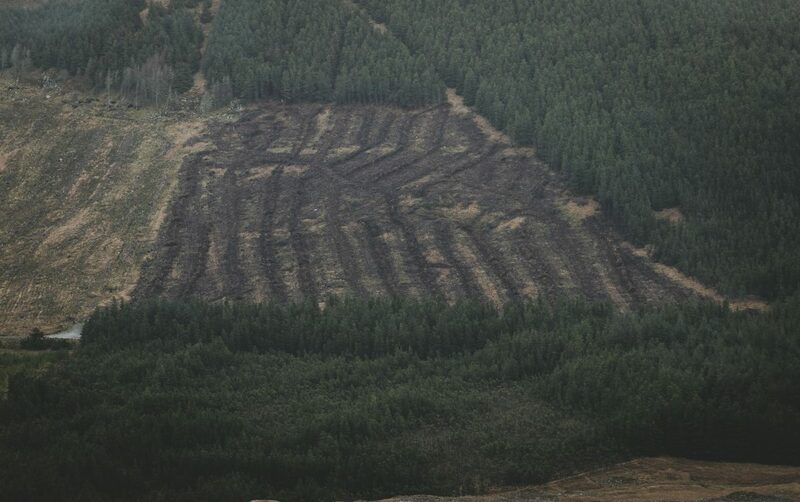 The majority of trees planted are non-native monoculture Sitka spruce plantations. According to the latest National Forest Inventory from 2017, at almost 19 per cent, Leitrim has the highest forest cover in the country as a percentage of the total county land area. Over 19,000 hectares of forestry in the county – 70 per cent of forest cover – is conifer plantation. This policy, according to Save Leitrim, is having a “very serious negative impact on people, their lives, mental health, businesses, communities, biodiversity, wildlife and their rights”. According to the group, almost 150 townlands in the county have essentially been abandoned with many of them fully planted in conifers, the group said. Several electoral divisions across the county have lost between 5 and 12 per cent of their population between the 2011 and 2016 censuses, the group said as farms are being displaced or reduced as farms are sold or planted. The group reports that the county’s biodiversity is “significantly declining” as a result of phosphate enrichment required for non-native species to grow and acidification of lands from the plantations. Plantations often also require the use of chemical pesticides and insecticide such as Cypermethrin to manage disease in non-native plantations. Cypermethrin is used to control Pine Weevil and the spreading of such products can have knock-on impacts on flora, fauna and water quality. The Irish Wildlife Trust said that it is “delighted to support the Save Leitrim campaign” at its Dáil rally against “on-going, plantation-dominated forestry policy” in Ireland. The conservation group said that the rally should send a clear signal to politicians that the drive to expand conifer plantations has major negative consequences on communities and the environment. A recent EPA study highlighted a high level of deforestation in natural and semi-natural woodlands. Indeed, 52 deforestation events between 2000 and 2012 took place in long-established or ancient woodland, extremely rare features of the Irish landscape. “These are a major driver of extinction in Ireland and have been identified by the EPA as one of the principal sources of water pollution. The method of felling referred to as ‘clear felling’ results in massive pollution run-off and leaves a devastated landscape in its wake,” Mr Fogarty added.